It is the year 1995 and Carol Danvers, aka Captain Marvel, is on a mission to stop alien creatures known as Skrulls. During this mission, Carol also discovers who she was in her past life. Captain Marvel, (Marvel’s first female standalone movie in the cinematic universe), opened on March 8th, making $153 million domestically and $455 million worldwide. Captain Marvel, (played by Brie Larson), tells the story about one of the first non-human superheroes as well as the beginning of well-known S.H.I.E.L.D. agents, Nick Fury (Samuel L. Jackson) and Agent Coulson (Clark Gregg). This film has many plot twists and unexpected features that keeps the viewer on the edge of their seats. Included is a tribute to the late Stan Lee, one of the creators of Marvel Comics. Lee is also known for his witty cameos in the MCU (Marvel Cinematic Universe) and it was heartwarming to see the creators of the film continue to honor his legacy. The makers of Captain Marvel paid close attention to details from other Marvel movies because the film shows a variety of characters including those in Guardians of the Galaxy, before those stories take place. It also continues to talk about one of the infinity stones before the Avengers (2012) find it in the future. When trailers for Captain Marvel were released, many critics felt that it would be a movie about empowering women, but it is much more than that. It captivates the audience because it stays true to the Marvel franchise and introduces a new superhero. This movie had comedy, special effects, and lots of action scenes. 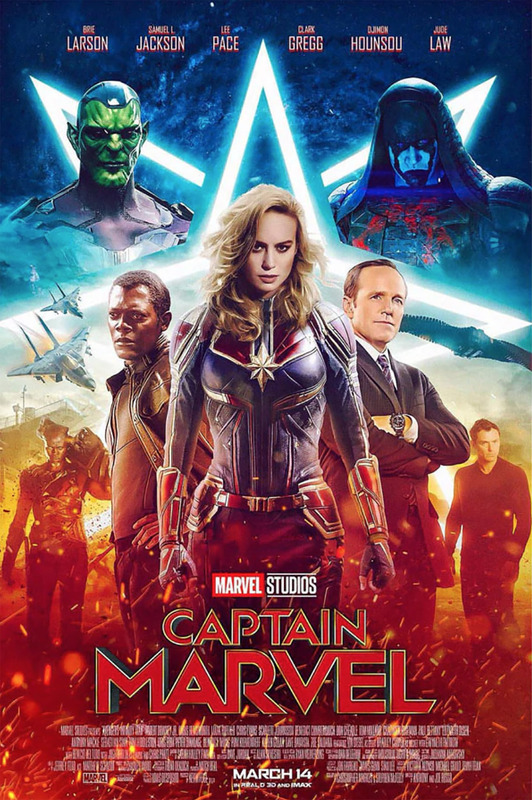 Captain Marvel is suitable for those who enjoy Marvel movies or action movies in general. This film has prepared the audience perfectly for the next Marvel movie, Avengers: Endgame.